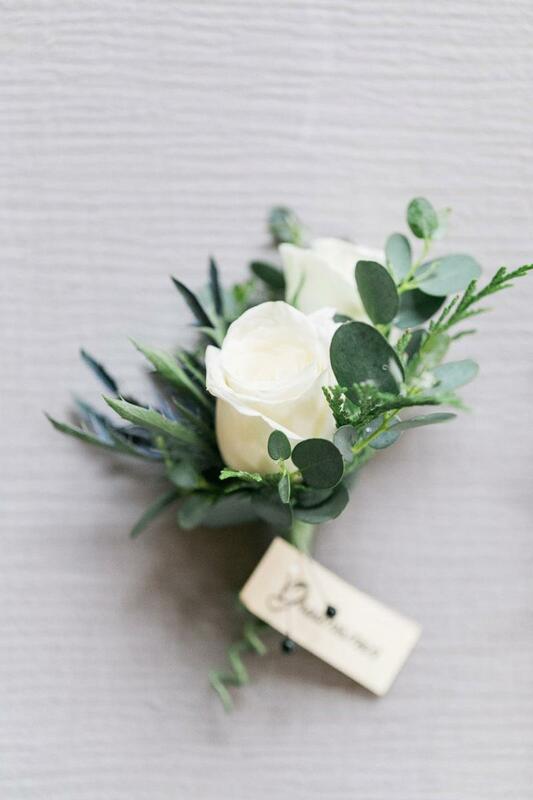 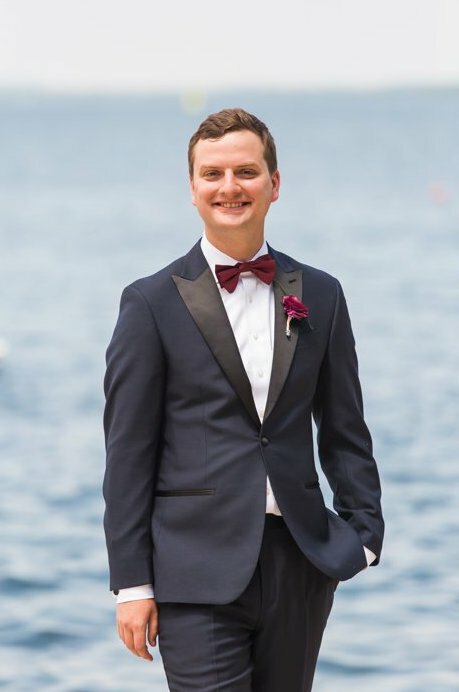 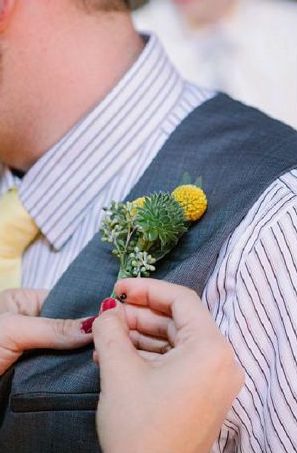 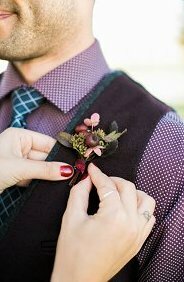 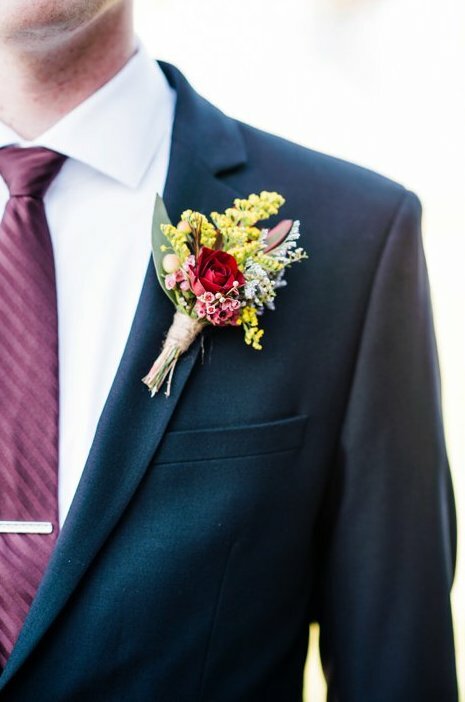 Your groom's boutonniere is a small detail, but a big part of his attire. 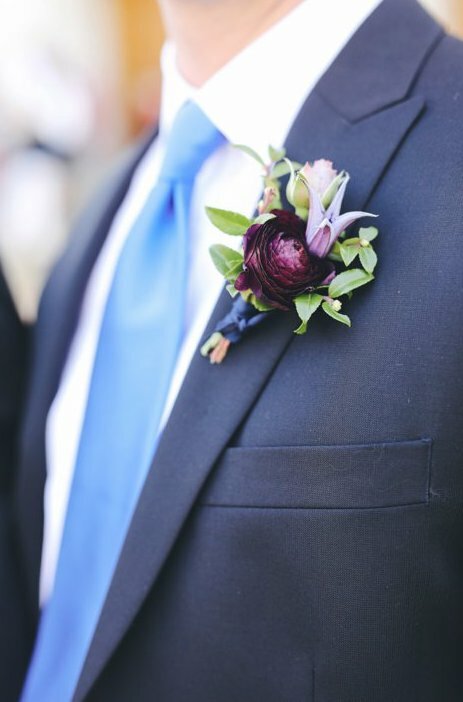 While most guys aren't huge fans of a pink or purple rose sitting on their chest, we've found some delightful options that we think every guy will be happy wearing. 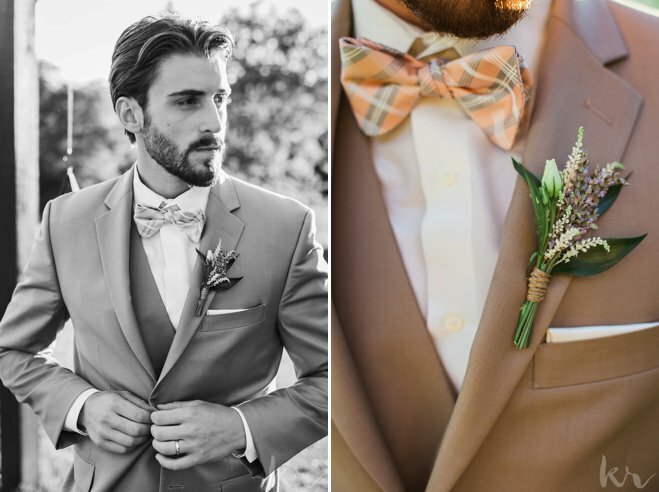 These understated looks will easily match with many color themes without being too predictable. 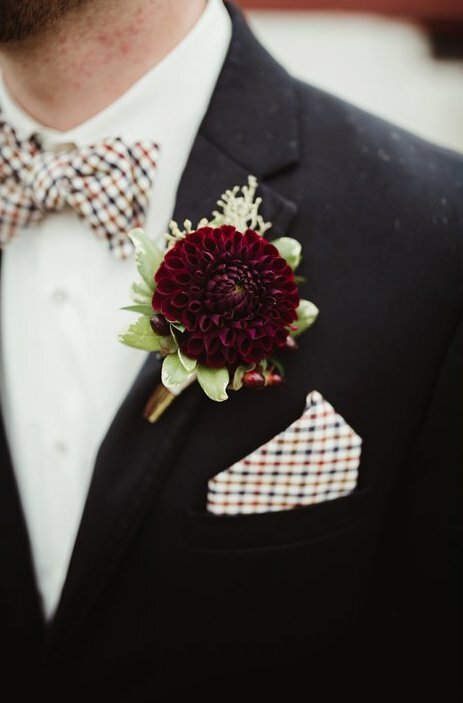 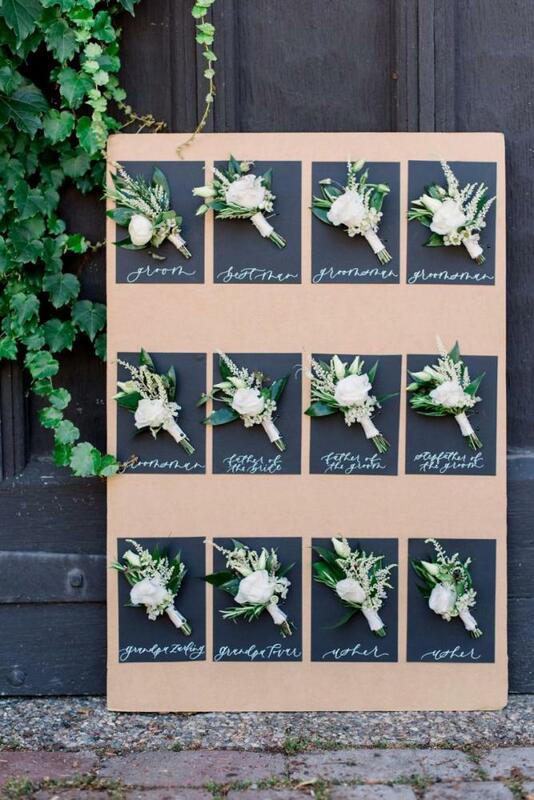 We think using a mixture of greenery and darker florals helps keep the look masculine without it feeling too macho. 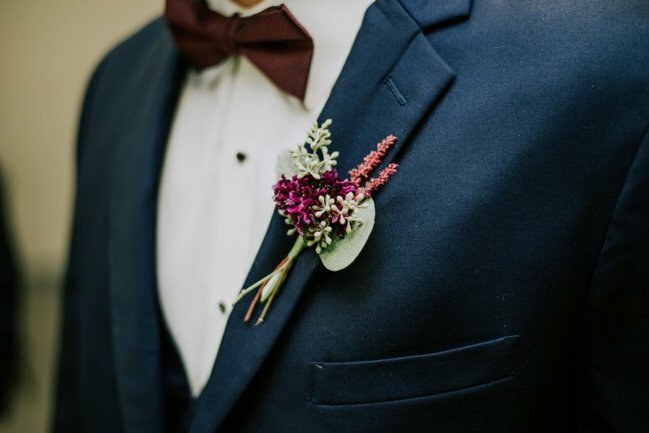 If your guy isn't afraid of color, look for a long-stemmed option like goldenrod or lavender to be the focal point, adding leaves where needed. 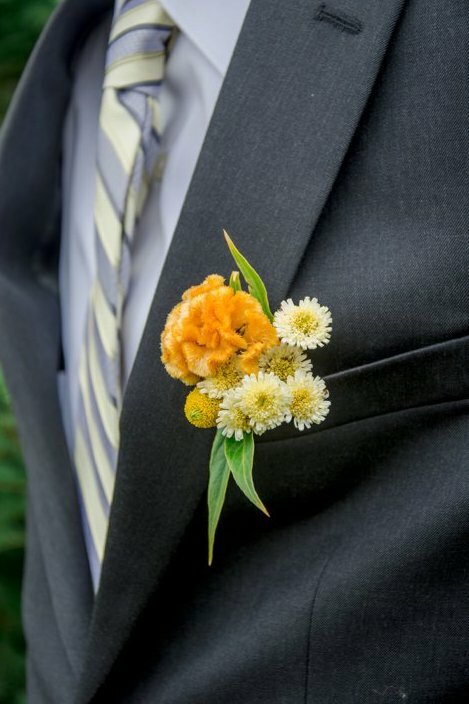 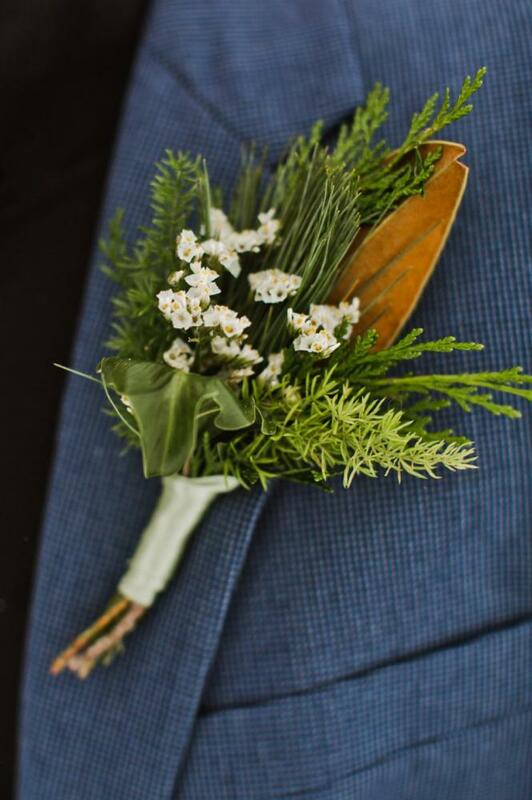 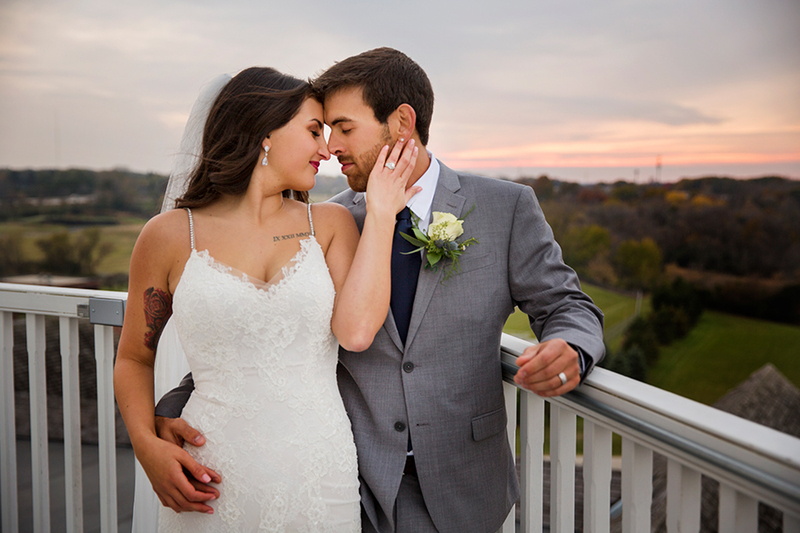 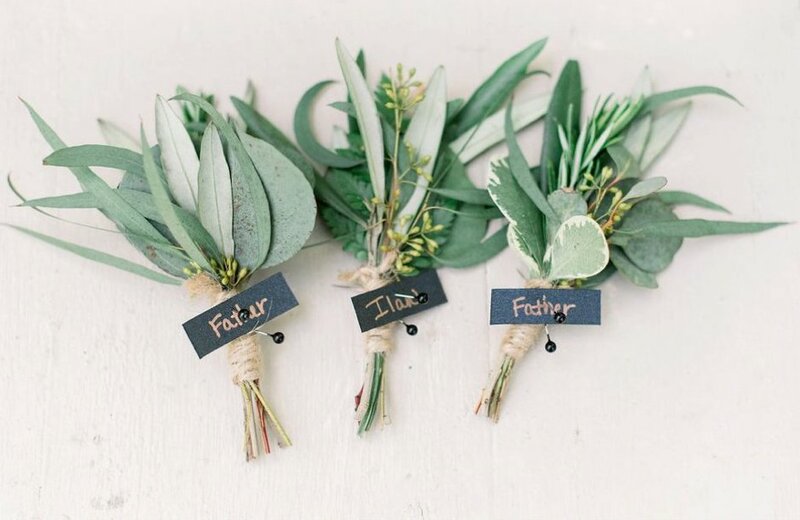 Whether you stick with buds or opt for an all-green look, your soon-to-be-hubby will feel comfortable - and look handsome - with these boutonniere options. 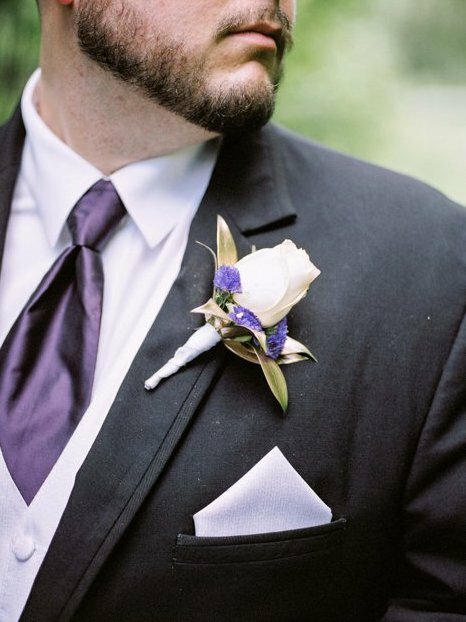 Tip: Click any photo below to start the slideshow and see photographer & more credits!